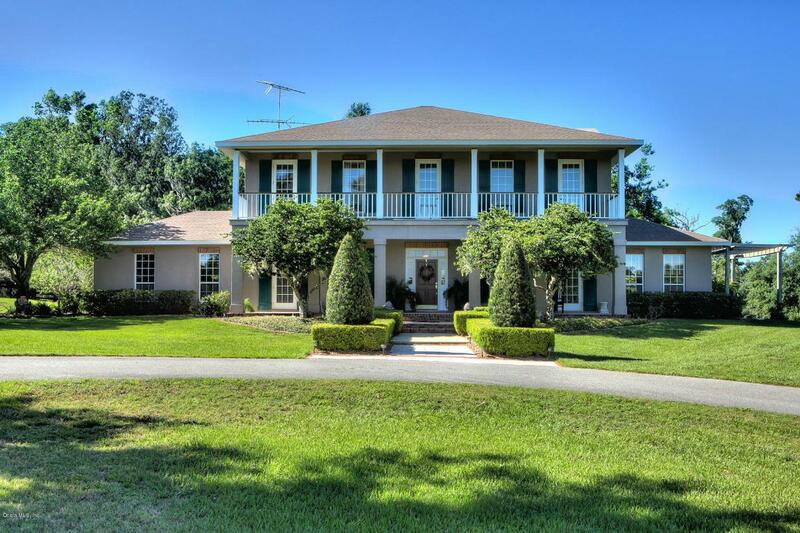 This breathtaking 10+ acre farm is in a very desirable area of Ocala; it's quiet, peaceful, and private, yet a short drive to Ocala's shopping, dining, and entertainment corridor! 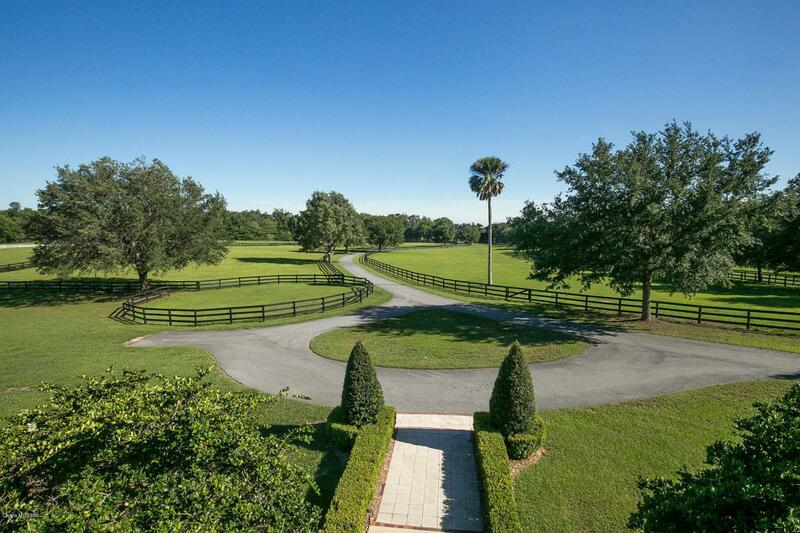 It's also a short distance to Florida Horse Park and other horse venues. Wind up the hill via the paved drive to the hilltop farm; along the tree lined drive you'll notice the beautifully kept pastures and well maintained board fencing. The farm includes 5 spacious paddocks, round pen, RV parking, and an adorable 4-stall center-aisle barn with tack room, wash rack, and one bedroom apartment with full bath. The elegant home exudes comfort and outstanding craftsmanship! It features a family room with fireplace next to the eat-in kitchen, as well as formal living and dining rooms. A cozy library is justthe place to study, read, or use for home office; it, too, includes a fireplace. The two guestrooms feature a jack-n-jill bath, and each bedroom has an exterior door leading to the veranda. The spacious master with en suite bath features doors to both the front and rear verandas for views in every direction. 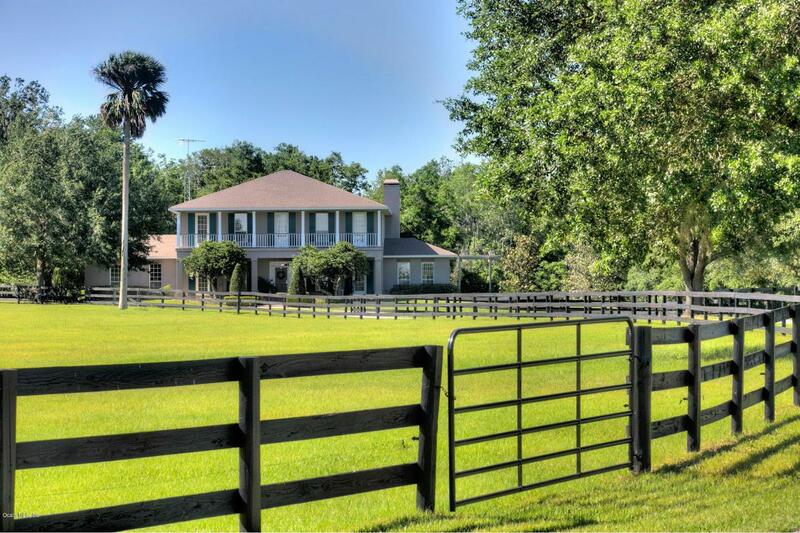 This home is in immaculate condition, and is a great place to raise your family of horse enthusiasts! This is what Florida living is all about! !